Is This Scary Or What? Amazon Product Reviews Personified. 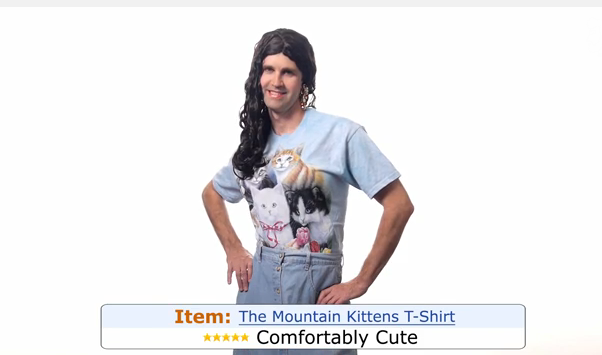 Rhett & Link, who are without a doubt among the best entertainers on YouTube collected several product reviews of cat t-shirts on Amazon and personified them. The results are both funny and creepy. For more funny videos from the duo, check them out on YouTube or connect with them on Facebook.